Gmail is an email service developed by Google. 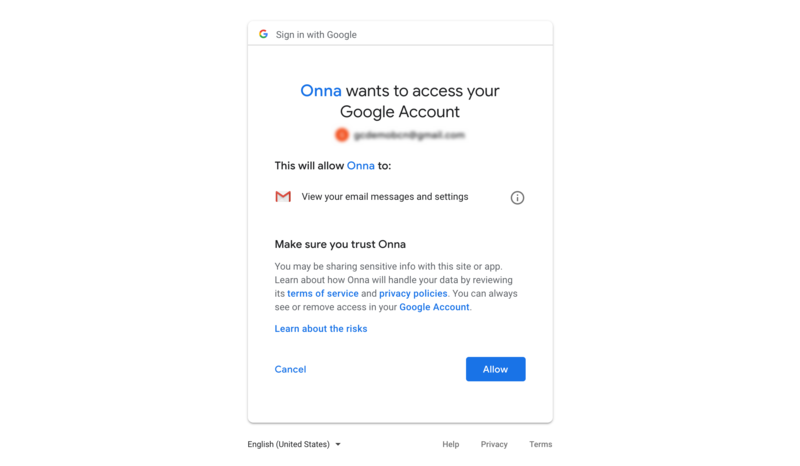 Onna connects with Gmail's API to collect all information in native format. 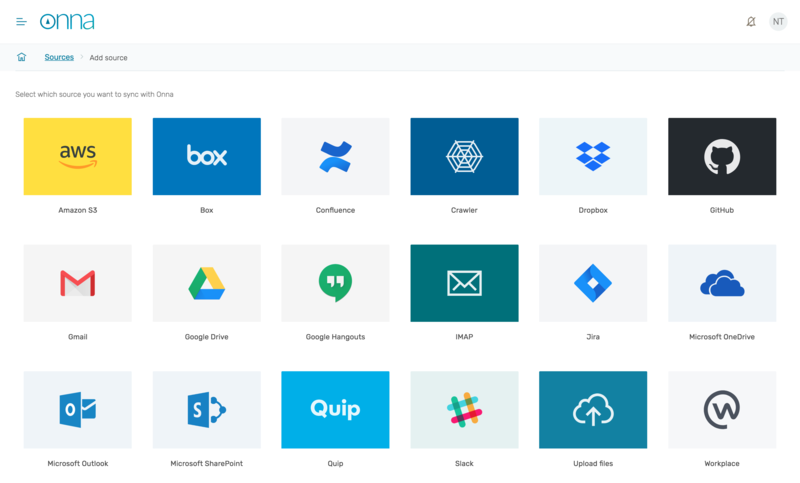 We also offer an integration to GSuite, enabling an enterprise sync. This integration syncs from a single user's mailbox. This integration cannot be used to collect from an alias account. 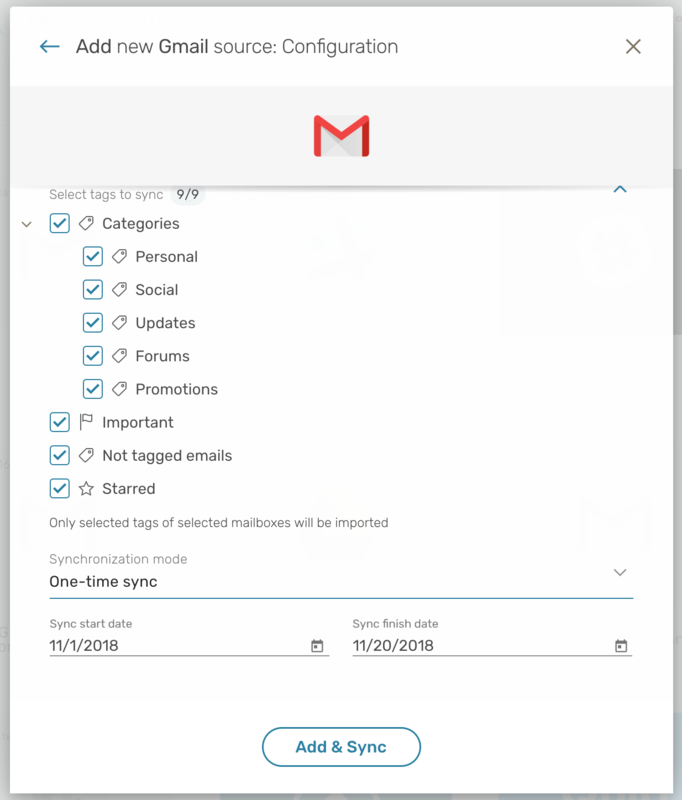 The synchronization scope currently encompasses an entire Gmail mailbox, and specific labels from a Gmail account. The first section covers the Source name. This is the name of your source in Onna. We've pre-filled it with the name of the source you're adding however this is entirely customizable. 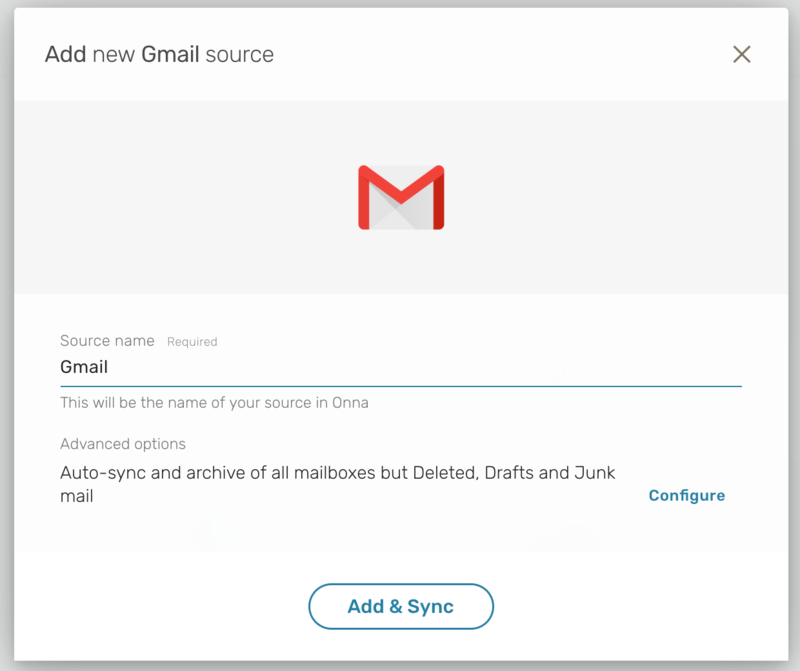 Clicking on Add & Sync or Configure will take you through Gmail's OAuth flow where you'll be giving permissions to Onna to collect files from that user's account. First it will ask you to sign in. 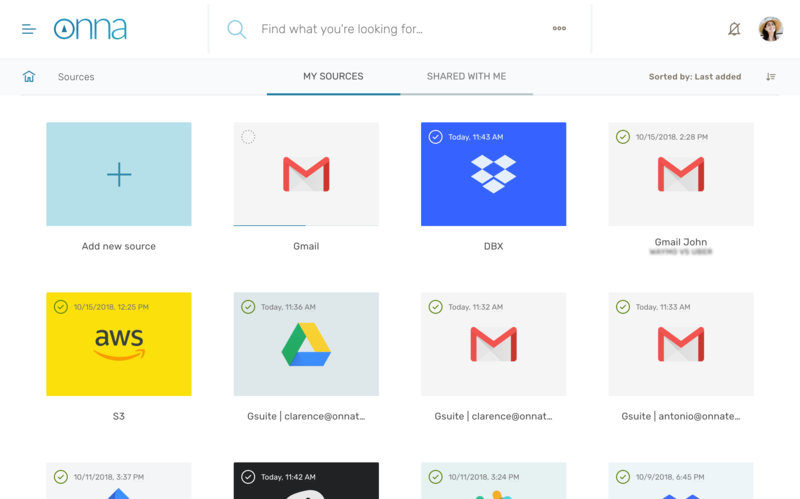 If you clicked, Add & Sync, you'll be taken back to your Sources page and the collection will initialize. 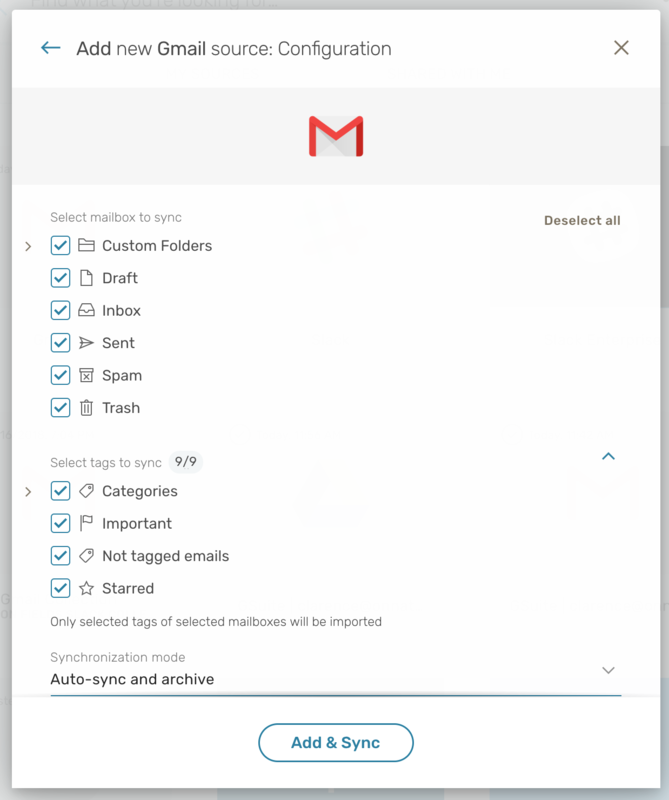 Here you can select what mailboxes you'd like to sync as well as different tags found in Gmail. 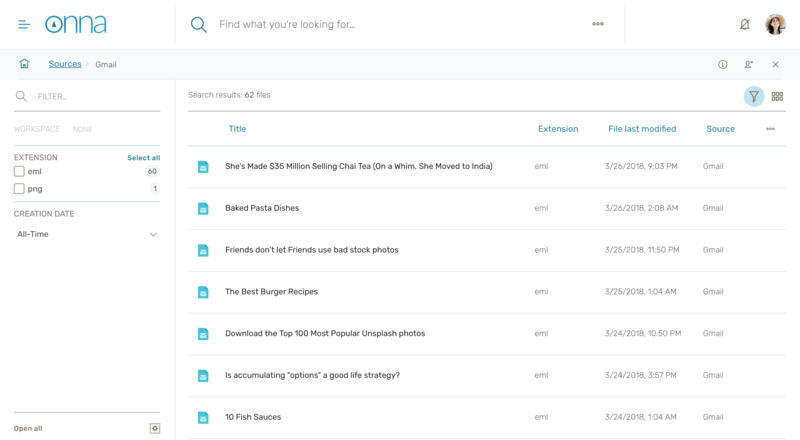 Categories include the generic tags found in personal Gmail inboxes: Personal, Social, Updates, Forums, and Promotions. In the configuration section you can also choose the synchronization mode. 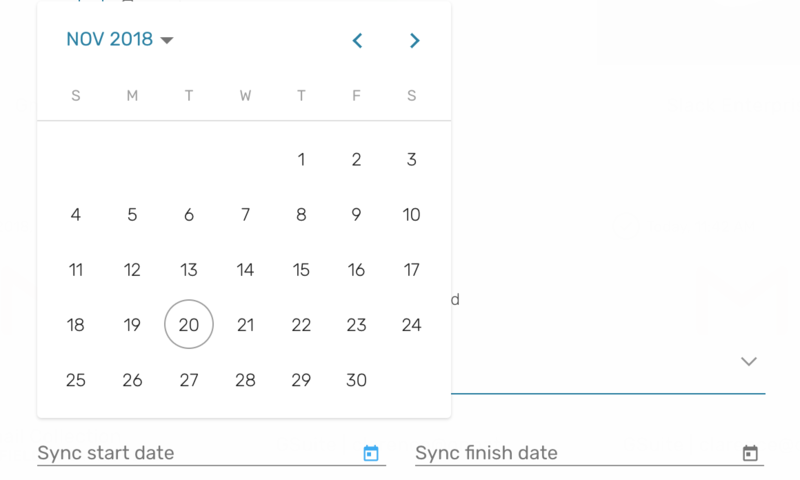 Note: If you'd like to collect from a specified time range, select One-time sync. Gmail will appear in your Source page. Data is being processed and indexed instantaneously and you can see the status as "Syncing". 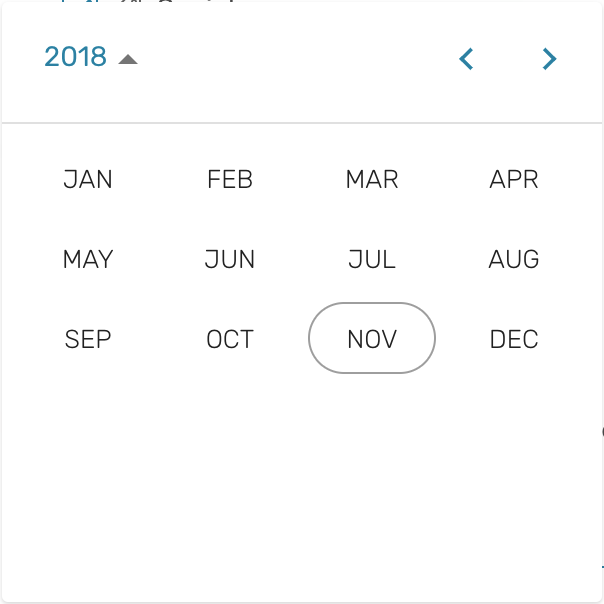 Once the data source is fully synced, you will see a circle with a check mark and the last sync date. When you click on the Gmail data source, you will start seeing results being populated. 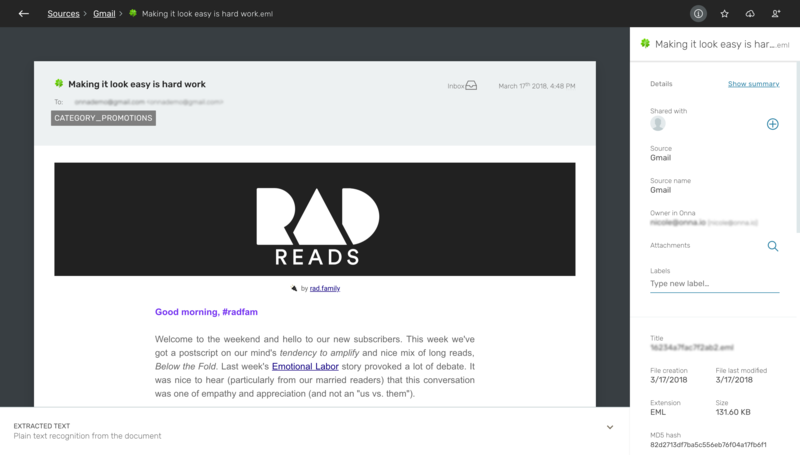 Onna takes html from emails and renders it with all existing content. On the right-hand side you're able to view related metadata for the file and view whether it contains attachments. Back in the sources page. You can click on the information icon on the top right to take you to the source details. Here you can see general information on the source including the number of files it contains and its size. 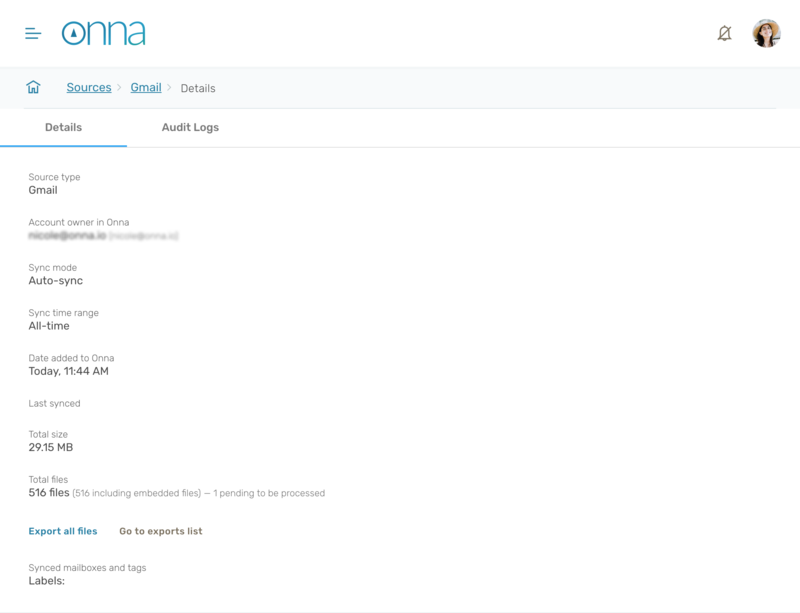 To view the Audit Logs, select the middle tab. 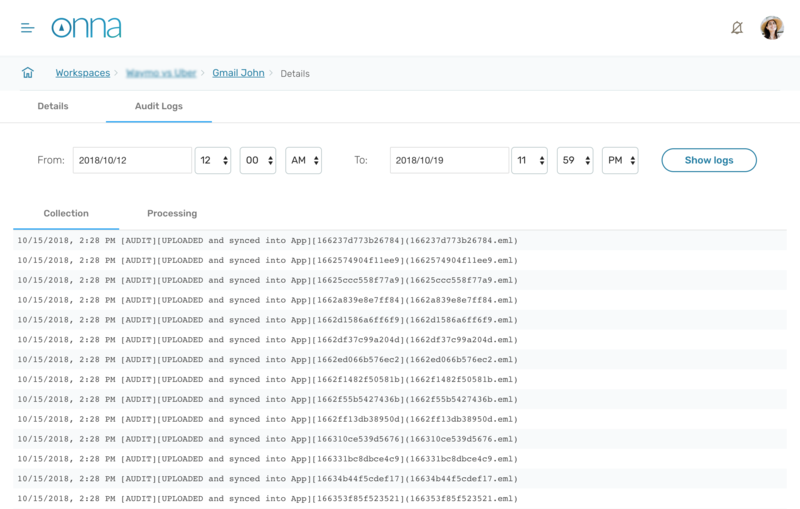 Here you can view logs created during collection and processing. 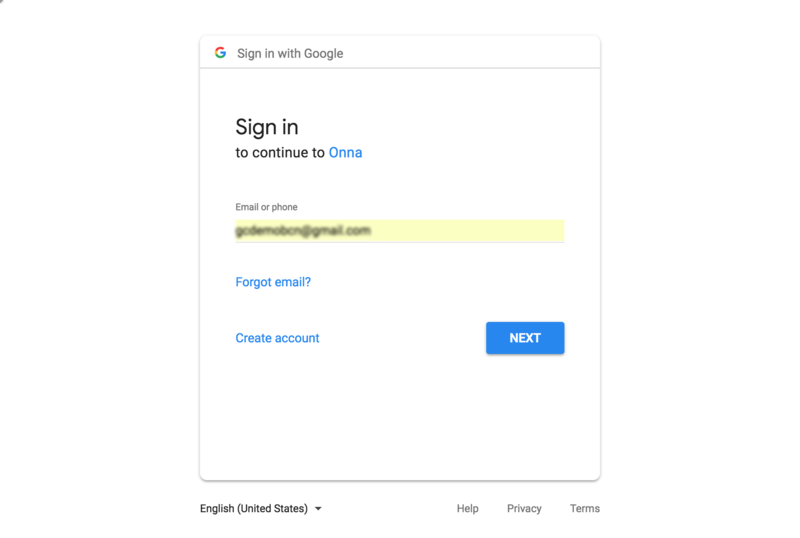 How does Onna deal with a Gmail account that has 2FA setup? If the account has two-factor authentication (2FA) set up then once you input the credentials, it will go ask for the account to go through the specified verification. If you cannot fulfill the 2FA request, Onna will not be able to collect from the account.